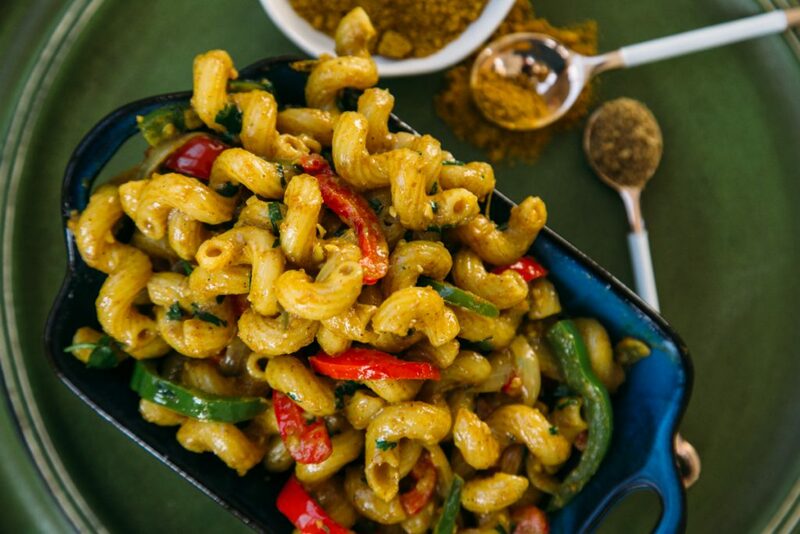 Coconut Curry Cavatappi- I mean come on’ how much fun is that to say!? 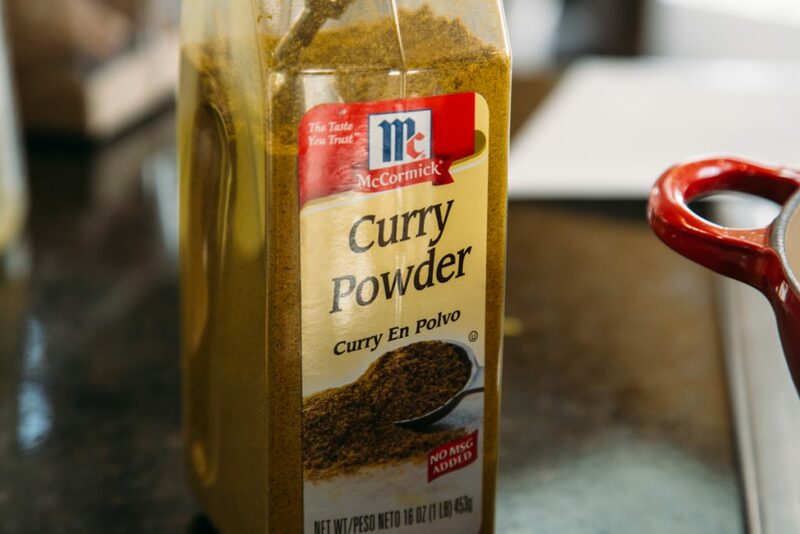 I love me some curry, and I love me some pasta so these two together was a no brainer for me. I’ve also been collecting a ridiculous amount of pasta in my pantry! 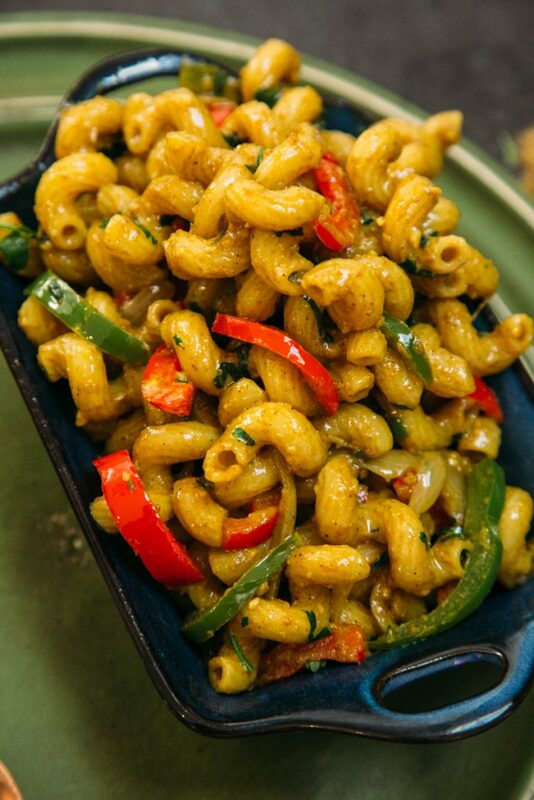 I like cavatappi for creamy sauces as it holds really well. 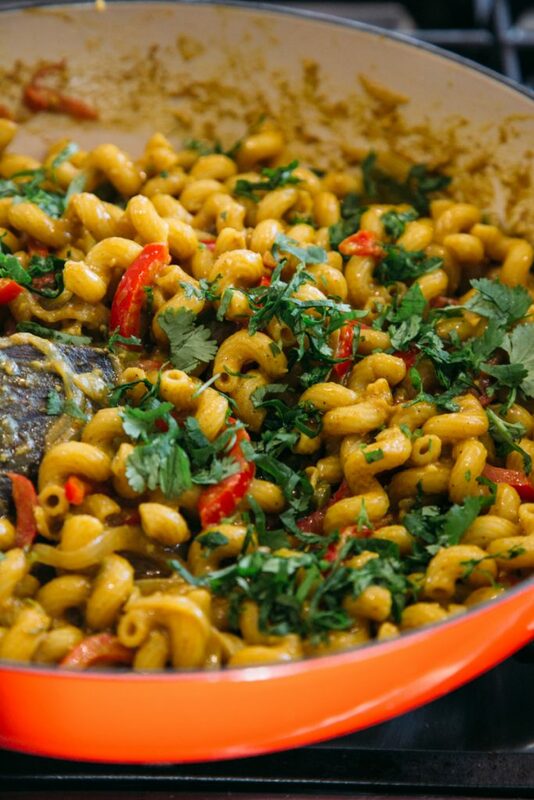 When you start cooking this pasta and you add the coconut milk, you will probably be like oh crap this is a lot of liquid, but slowly and magically all of that sauce gets soaked up by the cavatappi and by the end you will wonder how an entire can of coconut milk legit just seems to have disappeared! I really wanted to add some sort of cheese to this pasta but I’ve never had cheese in something that was Thai or Thai inspired..so I left it alone, but Im still quite curious if it would have worked- if you try adding some cheese- let me know if its not as weird as it sounds! Also, this pasta is quite rigid and thick so do NOT be stingy on the salt or else this entire thing will taste off. I also use honey in this pasta- and don’t let that throw you off- the pasta should be a little spicy and but a little sweetness to cut the bitterness of the spices! Cook the pasta according to package directions but cook to al dente (pasta will finish cooking in sauce). Heat a large skillet or pot on medium high heat. 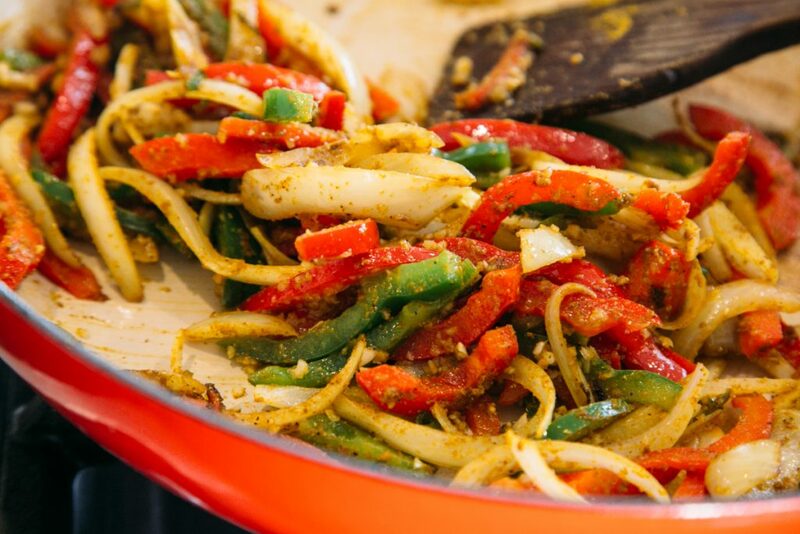 Add 2 tbsp oil and once hot, add the sliced onions and peppers. Cook for 2-3 minutes stirring constantly and then add garlic and cook for additional 2-3 minutes. Turn heat to medium low and add all of the spices and salt and continue to cook for 3-4 minutes until the spices are fragrant (continue to stir so spices do not burn). Add can of coconut milk carefully and continue to stir all the ingredients well. Bring to a low simmer. 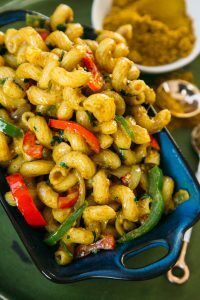 Add in cavatappi and cook for about 5-7 minutes, stirring continuously until the coconut milk has been been reduced or until the pasta is completely cooked. Add in honey, lemon juice, cilantro and stir well. 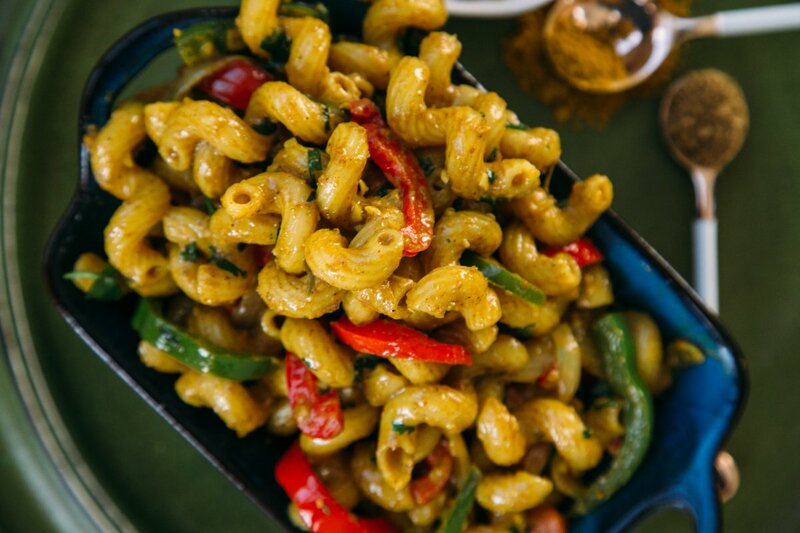 This pasta should be a balanced taste of sweet, spicy and salty. Add more honey if needed and be sure to add enough salt or taste will vary.